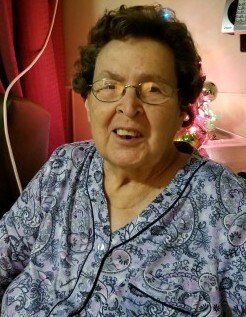 Margaret Williamson Bartrop, age 85 of Cerro Gordo, peacefully went to be with her Lord on Wednesday, January 16, 2019, at Columbus Regional Healthcare System in Whiteville. She was the daughter of the late Zebulon Vance Williamson and Mary Nance Williamson. She was also preceded in death by siblings, Dr. Ray Williamson, Elbert Eugene Williamson, Alfred V. Williamson, Z.V. “Jeke” Williamson, Jr., Ben F. Williamson, and a grandson, Jonathan Bartrop. Funeral Services will be conducted at 2:00 p.m. on Sunday, January 20, 2019 at Worthington Funeral Home, with Rev. William Schalk officiating. Interment will follow in the Chadbourn Memorial Cemetery. Visitation will be held from 1:00-2:00 p.m. Sunday at Worthington Funeral Home in Chadbourn. Survivors include her beloved husband of almost 65 years, Richard Glenn Bartrop of the home; five children, Theresa W. Fowler of St. Petersburg, FL, Debra W. Harris of Clarkton, Lew Bartrop of Bolton, Donna B. WIilliamson, St. Petersburg, FL, and Glenn Bartrop of Cerro Gordo; brother, Hybert Williamson of Chadbourn; sisters, Edith W. Strickland of Myrtle Beach, SC, Uldene W. Green of Cerro Gordo, and Frances W. Williamson of Cerro Gordo; 13 Grandchildren, and 23 Great-Grandchildren.